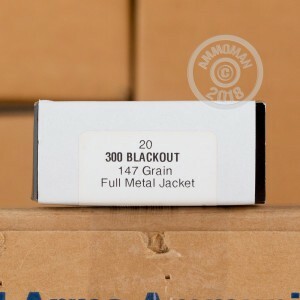 Grab this 200-round case of .300 AAC Blackout ammunition for range practice with your AR-15. 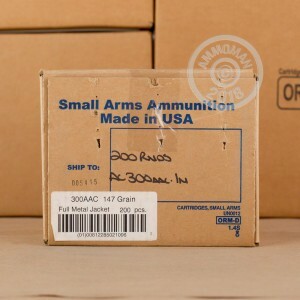 This ammo delivers strong medium-range ballistics at a competitive price. Each cartridge in this case fires a light 147 grain full metal jacket bullet at 1,826 feet per second. As a supersonic load, this ammo will produce a sonic "crack" that cannot be eliminated by a suppressor. 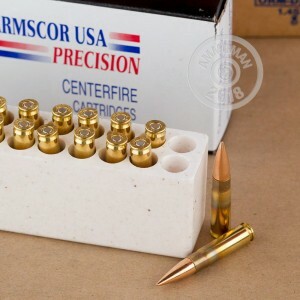 This ammo uses non-corrosive primers and brass cases. Place an order for $99 or more at AmmoMan.com to score free shipping!